Let us know how we’re doing by leaving a testimonial for Here 2 There. Just fill out the form with your name, contact information, comments or critiques, and whether or not we have permission to publish your testimonial on our site. If you have any pressing questions, please contact Here 2 There in Grande Prairie. Highly recommend these guys. They moved me out of my old place and into storage. Then two weeks later from storage to a new place. Positive, cheerful and polite through the whole crazy process. Nothing was broken or damaged. No complaining about the endless amount of house and garage stuff I had. Very professional. Thank you Derek & Troy!! We ordered an Ikea kitchen and they promised us in-room delivery; of course on the day of delivery the contracted movers weaseled their way out and did not want to deliver to the agreed specifications. I phoned Sheldon at Here 2 There and they went and picked up our kitchen from the transport company and moved everything into our home for a very reasonable price. The workers Troy and Derek were very diligent and hard working. THANK YOU HERE 2 THERE!! Nothing like supporting a local small business, especially when the economy is how it is right now. Absolutely love this company! The guys are so fast and efficient, plus very affordable. No hidden fees or gimmicks at all. 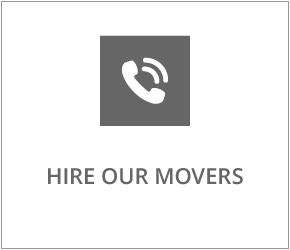 Great choice for moving or delivery needs! We had two wonderful workers help us with our move today and we were very impressed! They were so quick, efficient and friendly; very happy we chose to use this company!